The truth is that this is our most valid solution right now and those who deploy it will be most successful. In as much as there is no lock without the right key, so also there is nothing; no problem without a solution except the solution is rejected or not discovered. And just as darkness disappears without struggle at the appearance of a good light so also does evil and failure when the right solution is applied. Light is not just light; light has levels and progressions. 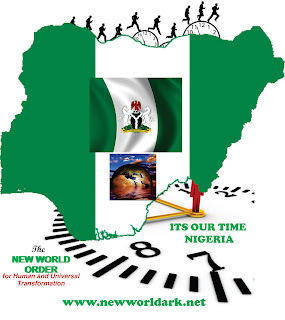 God has blessed Nigeria; you and me with the solution, the good light. If we use it, the sky is where we shall begin without limit to rule the world. for Human and Universal Transformation. It is the secret of national prosperity, peace and unity, religious tolerance and I tell you, we don’t need another. With this, terrorism shall become the thing of the past within few months. We need you, we need us to know this and to use this now; it is time. 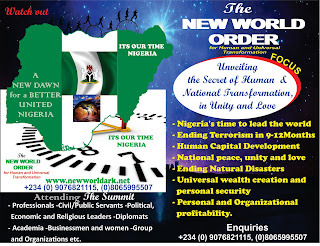 By this well-regarded secret, Nigeria’s leadership of the world cannot be stopped. 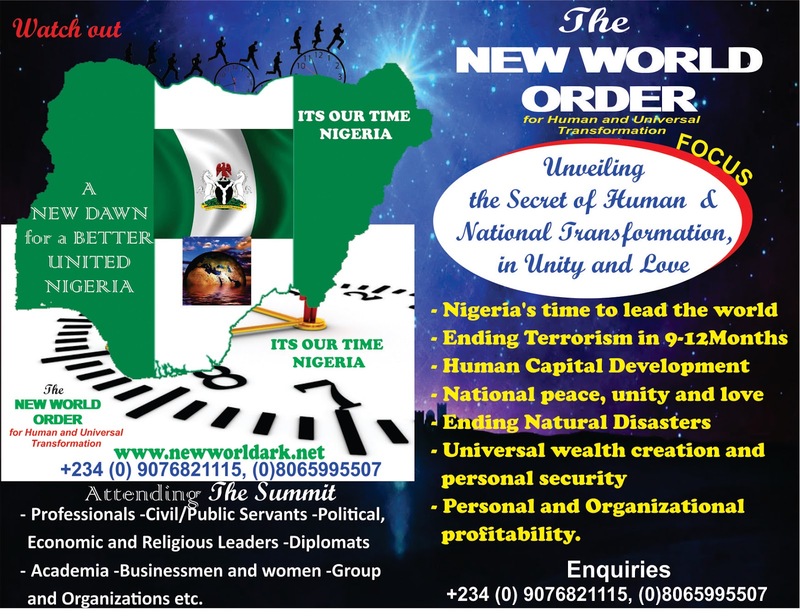 Nigeria may not begin to lead the world with industrial revolution or the availability of all types of industries right now but with the right solution to human and universal transformation in peace and unity. If we know this and use it, it is what will give us all we need. We need all of us: you, government/agencies, the people, groups, the academia, religious bodies and organizations, civil societies and diplomats, business men and women etc. Take advantage of the time with this opportunity national or global solution and intervention. Do you know that the time does not actually change per say? Yes, time does not change; Time is 24hours (daily) allocated equally to everyone in all generations. It is people that change per time based on what they know or do with their time, energy and resources. It is a national course and emergency. Watch out for the National Launching. 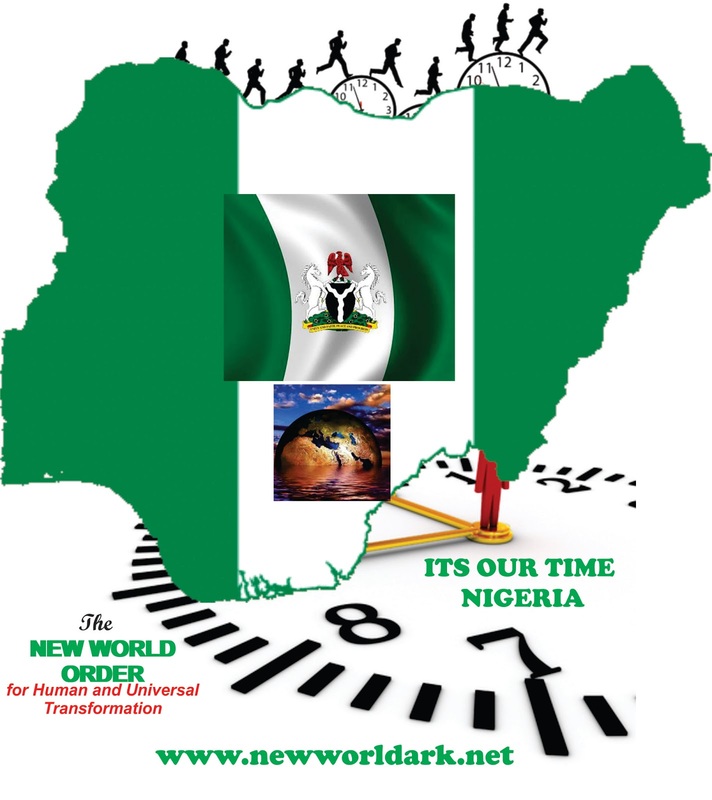 How we achieved a hitch free CrossOver and New Years Celebration in Nigeria, without any record of national disaster first of its kinds in many years since the birth of Nigeria.